Love has lot of moods and shades. Groom pulling leg of a reluctant bride visual is adorable, funny and pleasing. 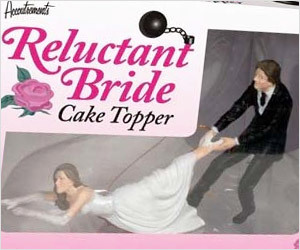 How about adding this scene at the top of your wedding cake?